Routine beer festival fare be damned – you’re going to have more than the typical burgers and pizza to complement your craft beer experience on February 24th. 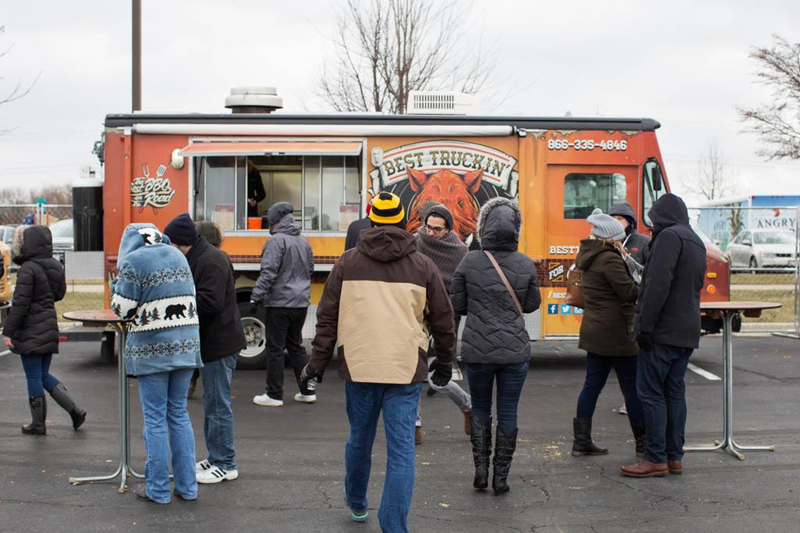 While Naperville Ale Fest’s combined beverage selection (over 150 unique beers) might exceed the quantity of food items at your disposal, the 10 select food trucks at the event will more than match the quality and variety of your many beverage selections. From barbecue to lobster rolls, Argentinean cuisine to Asian street food, we truly wish you good luck in your lunch and dinner selection. Oh – and don’t overlook the classic tacos, cheese, sushi, and even duck (!) available via the restaurants on wheels. Specializing in Latin-Fusion dishes, these guys churn out intensely flavorful hand foods including but not limited to: a skirt steak sandwich with papaya, a fried chicken sandwich with a maple aioli, and the increasingly popular truffle fries. Pick up some homemade chips and guacamole or share an order of fish tacos with your crew before your stomach demands you grab a sandwich for yourself. For those unfamiliar with the empanada (em-puh-nah-duh) allow the Grumpy Gaucho to kickstart your inevitable obsession with the fried and filled pastries. Choose from an incredible variety, ranging from BBQ pork to chicken pesto, and get a few of ‘em. Simple, fresh and true to the Argentinean cuisine. Their name doesn’t say it all, but it sure says a lot. Specializing in lobster sandwiches, these guys offer regular and junior versions of the northeastern specialty along with fish sandwiches and fries. Regulars contain a quarter-pound (!!!) of fresh lobster, so save yourself from waiting in line twice and grab the biggest version of the butter-drizzled Maine delicacy on a fresh baked bun on your first go. This roving sushi vehicle might be of the few outfits to take on the cultural phenomenon of the sushi burrito (Susherito? Sushito?) and execute it to perfection. They also offer rice bowls topped with fish, shrimp, or chicken – so whether you prefer the more traditional Japanese cuisine or the new-age sushi burrito, these guys have you covered. Presented by Maple Leaf Farms, this crew specializes in the finest of waterfowl. With menu options ranging from duck burgers to duck fat popcorn, you owe it to your palate to experience the most delectable of North America’s flying fare. Branded as modern Asian street fare, Piko delivers new takes on traditional Asian cuisine in a variety of ways. You can get your lemongrass chicken in a taco, your bulgogi ribeye in a bao (a steamed Chinese bun), your pork belly on a Hawaiian bun, or teriyaki tofu in a rice bowl. Any protein, any “delivery vehicle”, as they say. While their menu rotates like a jet-powered tilt-o-whirl, The Roaming Hog consistently produces near-perfect pork dishes that might only appear on their menu twice in a decade. We can’t tell you what’s going to be on the slate on the day of the festival, but we can tell a few things: there will be pork, it’ll be incredible, and you might fall in love. Gourmet grilled cheeses that are actually gourmet! With sandwiches featuring duck bacon, ribeye, caramelized peppers and a plethora of other meats and cheeses, you’ll have a hard time going back to the Wonder bread and processed cheese sandwiches of your childhood. 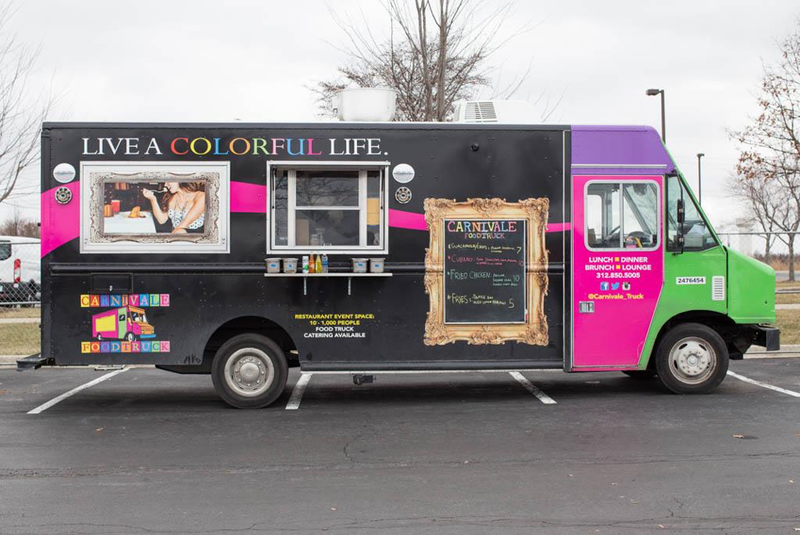 Featuring street tacos, burritos, and various other tortilla, protein and vegetable combinations, nearly everything on this truck (besides the steering wheel) is made fresh. Cap your meal with their churros or sweet raisin or pineapple tamales. And if all the beer is wearing you down, take a break with horchata, a traditional Mexican beverage made from a combination of ground almonds, rice and spices. This five-year-old outfit puts out seriously saucy brisket, chicken, pork and burgers in combination with some show-stealing sides. BBQ-rubbed fries, pepperjack mac and cheese, and southern-style hush puppies pair perfectly with the delicious meat and sauce combo nestled in their brioche buns. Oh – and your beer, too. Sound good? We’ll see you on the 24th at Naperville Ale Fest - Winter Edition!